Need to Surrender? 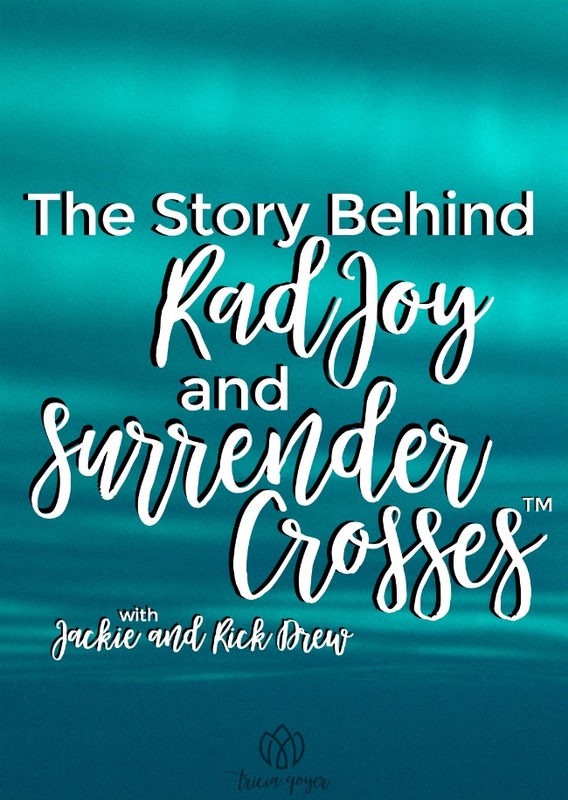 Scroll below for a chance to win a Surrender™ Cross and set of prayer cards from RadJoy! Winner will be contacted next week! Rad Joy has a heart for encouraging others in their walk with Christ. Our mission is to create products that help others live a life surrendered to Christ. A little over two years ago, my husband, Rick, and I were in a season of unrest. He was working at a local oil and gas company, and I was a stay at home mom to our three children. I began to pray that God would open doors widely or shut them loudly. I wasn’t sure what He wanted us to do, but I knew I wanted to be in His will! During this time, we were in our Sunday School class one morning and we were brainstorming an idea of what to get a pastor that was leaving our church. Rick remembered that he had some wood in the garage, and he thought he could make a cross out of it. 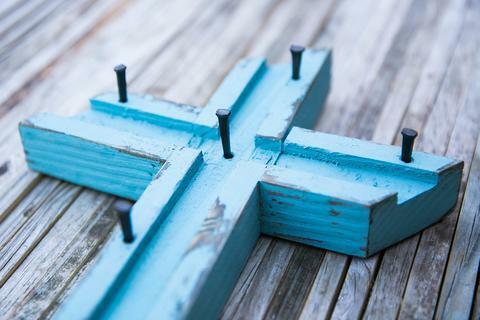 He decided he could add nails to it, and our pastor could then use the cross to nail his burdens or worries to it. After he made this cross, he began to make more like it, and the interest started to grow! As he created more of these “Surrender™ Crosses,” I also was watching his passion and excitement grow as well! He was so excited to be doing something with his hands that had purpose. For months, he continued to work at the oil and gas company and then he would come home and make crosses. On Tuesday, May 3rd, I called him in the morning and asked him what it would take for him to quit his job and for us just work on the crosses full time. He laughed and said he had just been crunching some numbers to see if it was even possible. That evening, Rick came home and I knew something was different. It turns out that he actually had been let go from his job that afternoon!!!! When he told me, I laughed (which was not a normal response for me). God had answered my prayer and closed the door to his old job and opened the door to our new business, RAD JOY. This May, we will celebrate two years of owning RAD JOY. It has been a wild faith journey for us as we are learning how to surrender to Christ. We have a heart for encouraging others in their walk with Christ as well. Our mission is to create products that help others live a life surrendered to Christ. 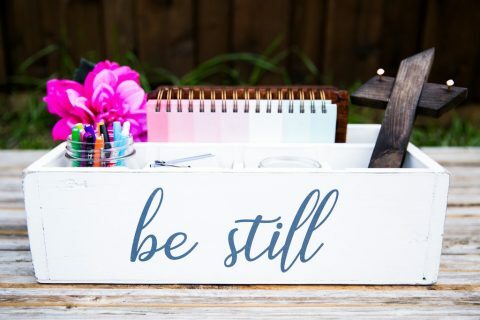 Besides our Surrender™ Crosses, Rick also handcrafts wooden RAD Boxes that help you organize all your quiet time materials. We also sell prayer cards for young kids, preteens/teens, adults, and married couples! You can see more of our story and our products on our website — www.rad-joy.com. 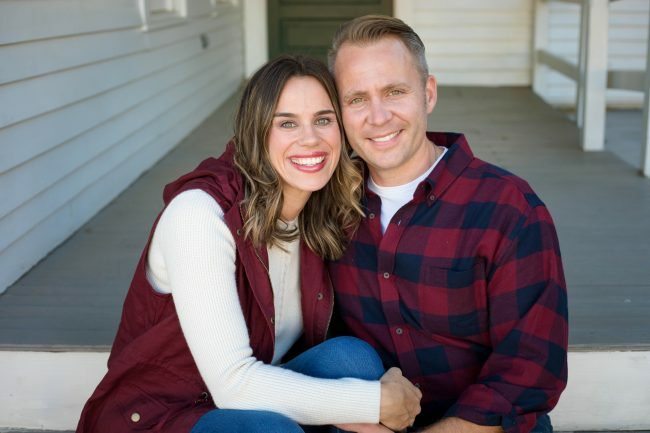 Jackie and Rick Drew are co-owners of RAD JOY, a company whose mission is to create products that help others live a surrendered life to Christ. They have been married for 15 years and have 3 children, Javed, Charley, and Riley. They are graduates of Texas A&M and currently live in Grapevine, Texas.